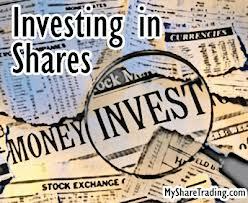 Broad objective of this article is to explain how to Invest in Shares. Here discuss Invest in Shares in financial market perspective. Before investing in shares or the stock markets, it is important to understand a few concepts revolving with this market. The first time any company floats shares in the particular financial markets, it is referred to as IPOs or Initial Public Offerings. Those who want to buy it in buying these shares can always make application for the shares directly through the respective companies.